Half-stack pallets are placed into the depalletizer frame using a forklift or pallet jack. Once inside the frame, the operator will cut and remove the shrink wrap, exposing the top layer of bottles. An operator interface will allow the user to start the process, and the pallet will be raised to the correct level so that the base of the top layer is level with the feed table. 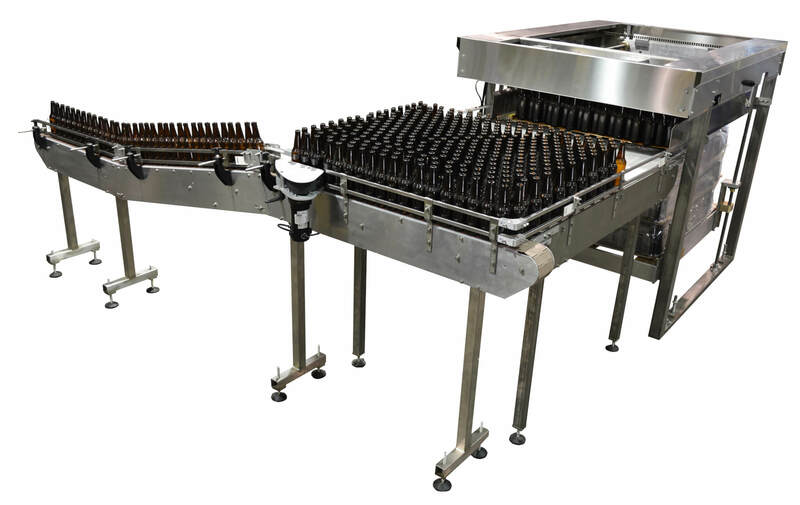 A motorized pusher bar will engage and push bottles out onto the feed table, starting and stopping as bottles are needed. Bottles will transfer out onto the feed table, and from there be fed onto the right-angle conveyor. 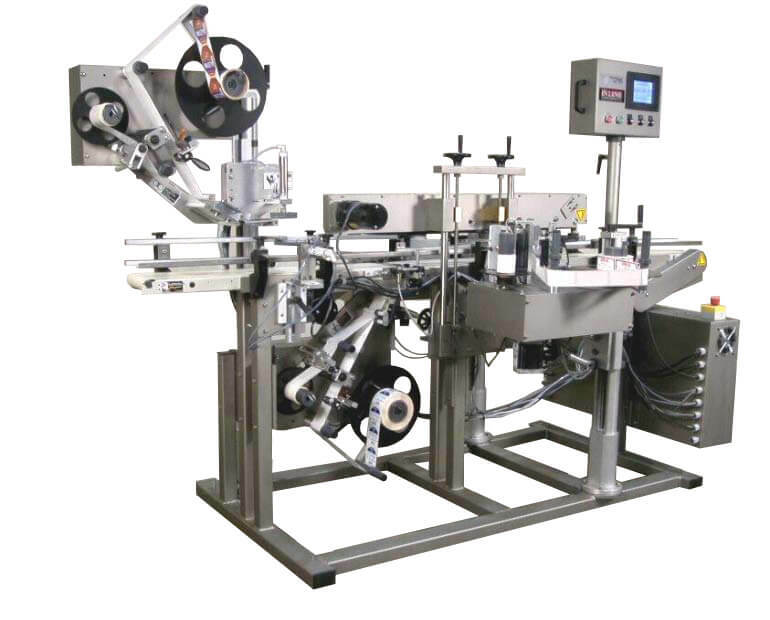 The table, conveyor and pusher belt turn on and off automatically based on a downstream photoeye indicating the need for bottles. If the line is full the system waits until bottles are needed and then restarts. Once the layer on the feed table depletes, the pusher bar will retract back to the home position and wait for the operator to take the divider between layers off. When the operator presses the resume button, the platform unit will raise to the next level and resume feeding bottles. After the final layer is depleted, the platform will lower back to the ground and the empty pallet be removed and a new pallet positioned. A standard layer contains 440 bottles for the normal 12-ounce (330 ml) size. Run time for each layer is between 10 and 15 minutes. Unloading time for each layer (average time to raise the pallet, push the layer) is less than 1 minute, so the operator should be available for other tasks. When you need speed and efficiency, choose In-Line. Our Half-Stack Semi-Automatic Depalletizer will work quickly and efficiently, allowing you and your operators to get back to work. All In-Line machines are backed with a one-year warranty, and we are available to answer questions and troubleshoot. We don’t leave you cold after the purchase. We develop a relationship with our customers and are here to help them as their business grows and changes. So, you can be confident when you partner with In-Line that you are receiving not only quality products, but quality service as well.